The red screen is reported to be a common iPhone glitch that happens frequently. What to do when iPhone screen turns red like Kim said? Or you might guess the probable causes at first time, which possibly are a failed restore or update, a faulty battery, virus attack or something improper with the SIM tray. 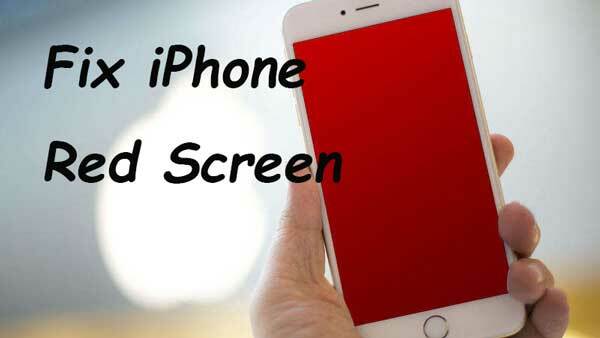 In order to assist you to solve this iPhone red screen issue, we are here to provide 6 useful solutions. Manage to restart your iPhone if the iPhone gets stuck on the red screen. 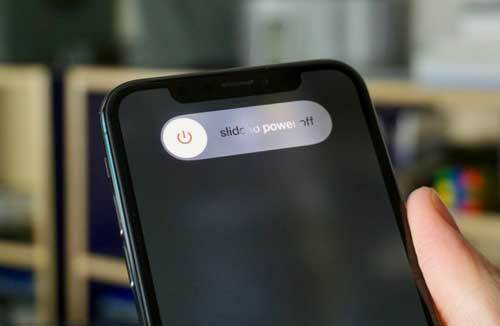 To do that, you just have to press and hold the "Power" button until the "slide to power off" prompt appears on screen. Then slide from left to right to shut down iPhone. After get iPhone turned off, you can repeat the same step to open iPhone again. For iPhone 6s/Plus and the earlier, press the "Power" and "Home" buttons at the same time for a while until you can see the Apple logo. For iPhone 7/7 Plus, keep holding and pressing the "Power" and "Volume Down" buttons simultaneously for at least 10 seconds. 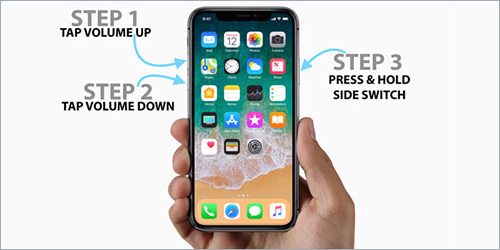 For iPhone 8/8 Plus/X and the later, quickly press and release the "Volume Up" button; then press and release the "Volume Down" button; hold the "Side"/"Power" button until Apple logo shows. 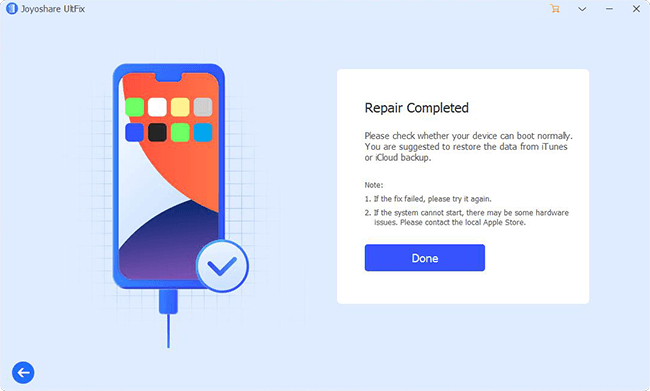 When your iPhone screen is red, you are recommended to take the aid of one iOS repair tool, which has capability to fix iOS system without causing data loss. Among various options in current market, Joyoshare UltFix is one of the most professional and trustworthy programs. 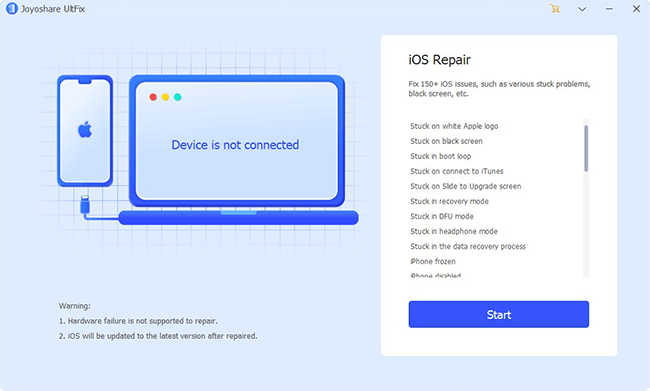 It is able to recover iPhone system by repairing up to 30+ iOS issues, like red/white/black/blue screen, iPhone is disabled connect to iTunes, iPhone stuck in boot loop, iPad bricked, iPhone keeps restarting, etc. 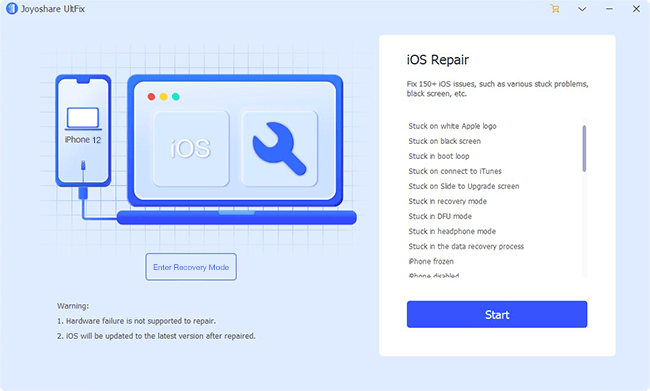 Attractive yet, this superb iOS system recovery even allows you to free enter or exit the Recovery mode with one quick click. It's also compatible with all models of iPhone, iPad or iPod touch devices. Now we will take the Windows version of Joyoshare UltFix iOS System Recovery as an example. Refer to the following guide to fix the iPhone red screen error. Simple get Joyoshare UltFix launched on your PC. Plug the red screen iPhone into computer with one Apple cable and click the "Start" button. Choose one repair mode based on the actual situation. To get out of iPhone red screen, enter "Standard Mode". 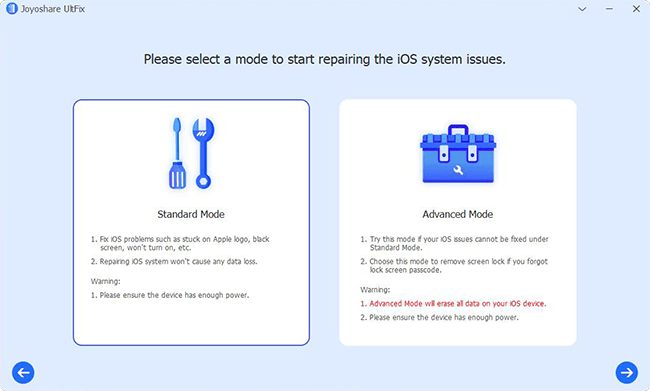 Then continue to put your iPhone into the Recovery/DFU mode, which can be done freely in this program's main interface. 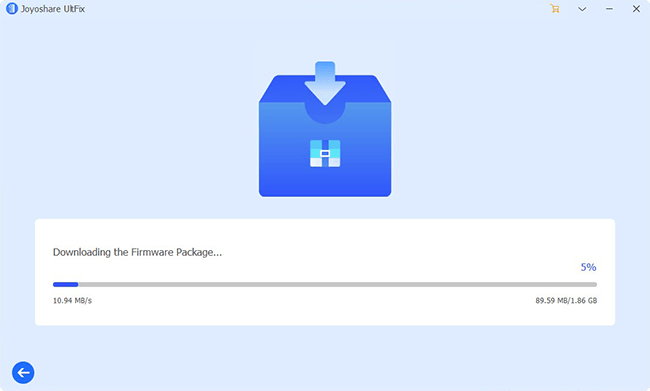 Check the device info and download the firmware package by pressing on the "Download" button. After that, Joyoshare UltFix will start to verify the firmware package. Tap on the "Repair" button at the right bottom to unzip the downloaded firmware package and fix the iOS. If this "Standard Mode" fails to work, you can go to use "Advanced Mode" in your own way. An inappropriate iOS version is also likely to cause iPhone red screen boot loop or other similar problems. 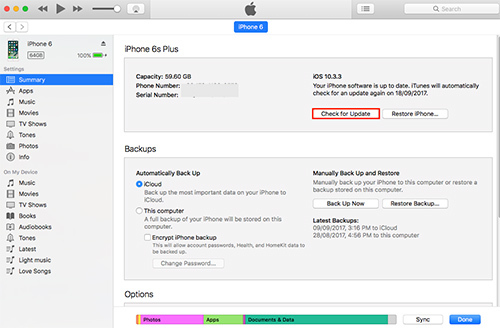 What you can do is to make an update for your iPhone and install it with a stable and compatible iOS version. Step 4: Press on "Update" button to have a confirmation and update iPhone. 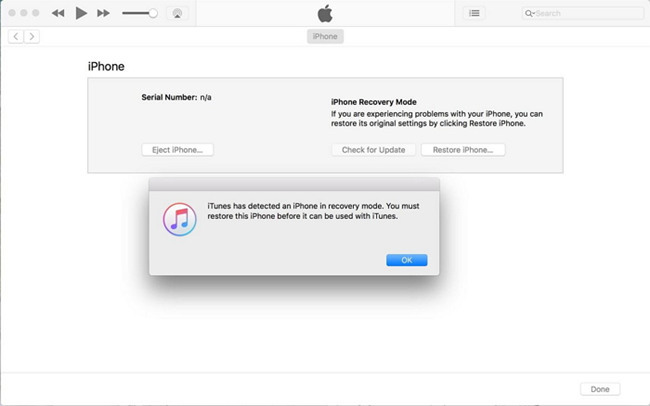 Step 4: After iTunes detects iPhone and shows a message as below, press on the "OK" button to restore iPhone. It must be a malfunction with iPhone's hardware if the iPhone red screen issue is still out there. Considering the above-mentioned tips and tricks are only work to fix software problem, you are advised to visit a local Apple store to check whether there is a hardware problem. Don't worry; the staff from Apple store will give you professional support and help your iPhone back to normal.